King's Faith Movie: Bring it to Your City! At NFI, we're excited to share the latest fatherhood film with you. We think this film will inspire you to be the best dad you can be. 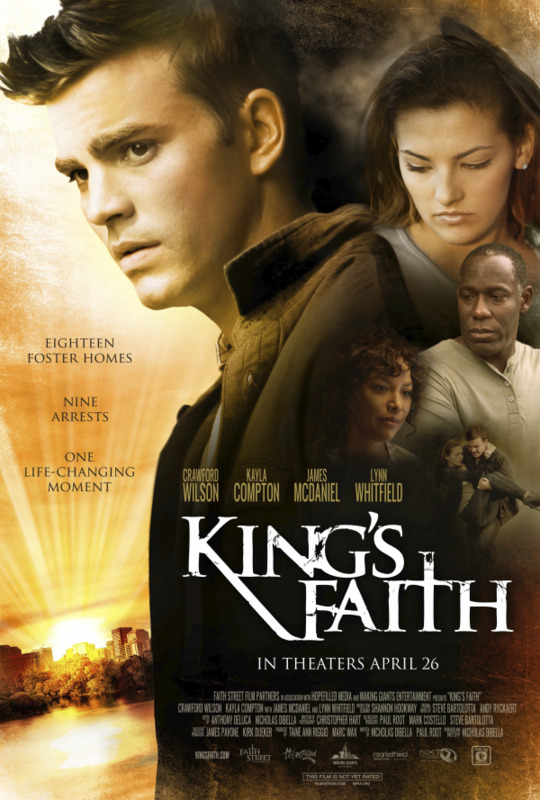 King’s Faith is the story of a troubled, fatherless young man named Brendan King, who is trying to straighten his life out as his past continues to invade it. With the help of strong foster parents, especially his new foster father, Brendan works through his issues. On April 26, King’s Faith, a faith-based film from Faith Street Film Partners and Hopefilled Media, will hit theaters…and you can have a say in whether it will be shown in your community’s movie theaters! The foster father, Mike (played by James McDaniel), is a great example of how a strong father can build confidence and resilience in his children. He shows the unique and irreplaceable traits a father brings to the parenting equation, especially for a “lost” boy looking for guidance from a responsible male role model. Don't miss the opportunity to use the movie King's Faith to engage fathers, mentors and youth in your community. Watch this clip of Brendan King's new foster Dad (Mike) advising Brendan on how to make good decisions.